Diode Light Therapy is a great breakthrough in anti-ageing, rejuvenating and healing treatments. Research has shown the benefits of light-based skin therapy (light modulation) as a means of harnessing the positive effects of both red and blue light to replenish and repair skin cells. 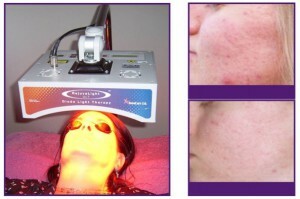 This treatment is also referred to as photomodulation, LED photorejuvenation, or biostimulation.